I've got a bag support, but try as I might it tends to drop - causing trouble with my brakes. I could just use a pannier bag, or buy a new bag that wouldn't need supporting but I'm loathed to waste. 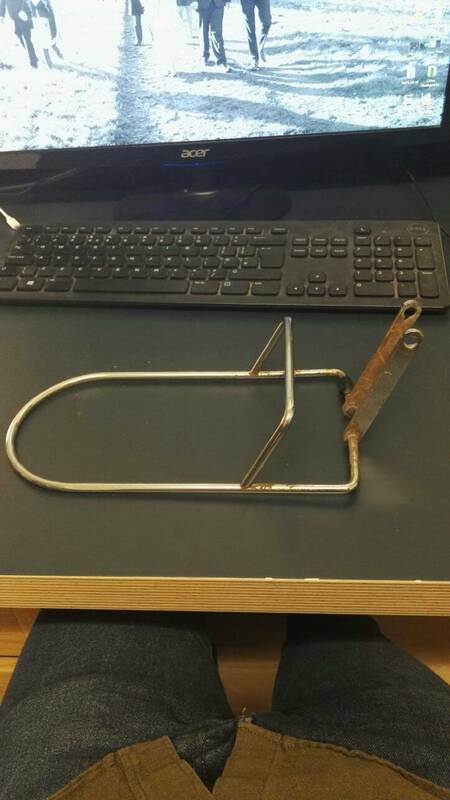 Anyone got a bodge idea / tips? 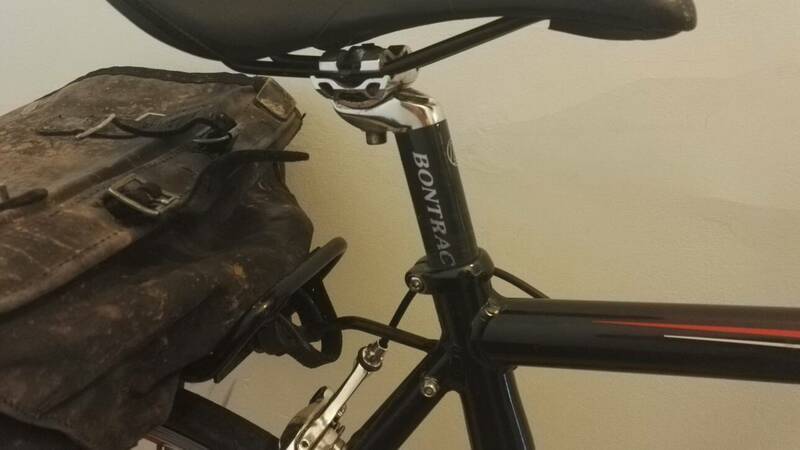 What bag on what bike? Do you have enough seat post exposed for something like the Carradice SQR system? Pics of the problem would help if possible. It's a Carradice Longflap on a Trek Alpha 1.2. There would be room for their SQR - but it's so damn pricey. I do have screws for a mount in the actual frame - as you can see in the pictures - but the right hand side just won't come out and my attempts so far have only damaged the paint work. 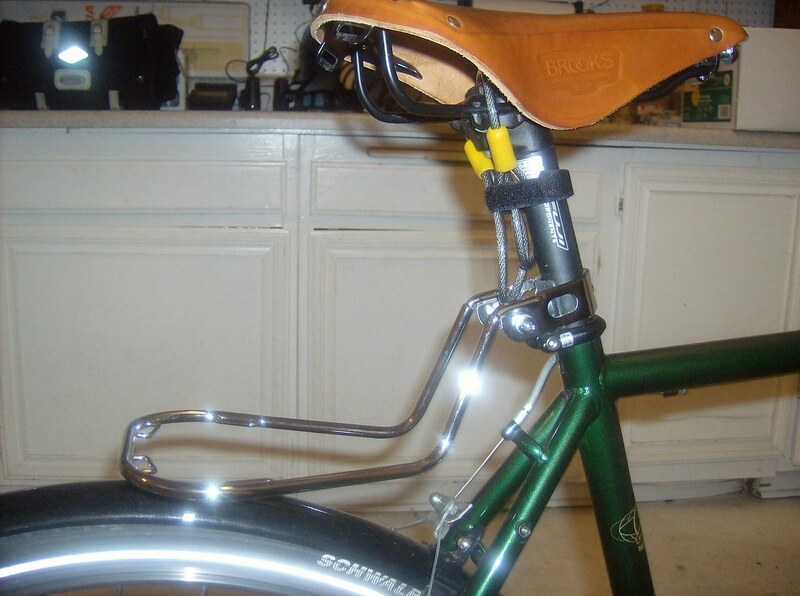 I recommend the Bagman support if you've got enough space on the saddle rails to fit one. Might be too small for a Camper Longflap though, if that's what bag you have. But what bag support have you been using so far that "tends to drop"? This is what I have at the moment...ignore the rust - it's old. I had attached it on the seat stay, but that doesn't seem able to actually support it. The classic support looks as though it might work. It looks to me like you haven't got enough seat post showing to use an SQR, but I think Carradice give a figure on their website so you could measure. >I had attached it on the seat stay, but that doesn't seem able to actually support it. I'd guess you're missing a clamp that went around seatpost at required level (like above), thus allowing resting of protective covered (where the tape is wrapped) frame against the stays. Best bodge is couple of toestraps from the cross support rail up and threaded over the seatpost then saddle rails, just in front of the rail cradle. Best solution - toss it in favour of something that works. If memory serves (and it is a good few years since I fitted an SQR to one of my bikes) Carradice's website quoted something like a minimum exposed seat-post of 135mm. IME the minimum exposed seat-post requirement is more like 185mm. Pics of your's, EllysH, look like it's less than that. 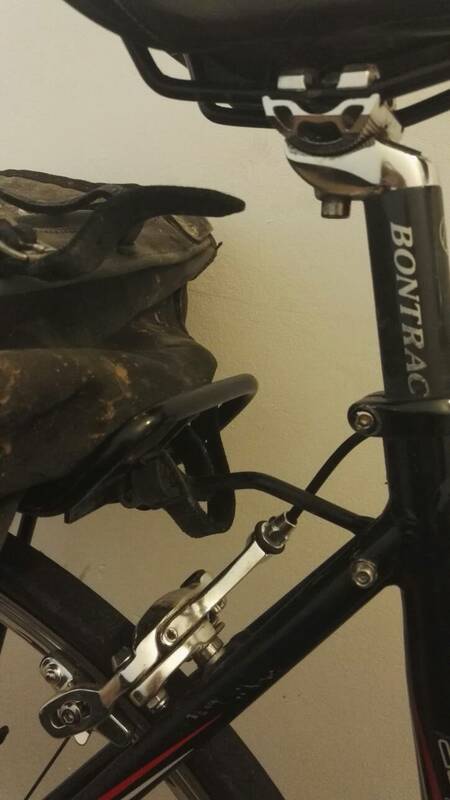 Right, for now I'm just gonna stick with my pannier rack while I find a suitable stay.